Ali Jafri is the President of Knowledge Now, a Knowledge Based consulting firm operating from Islamabad. 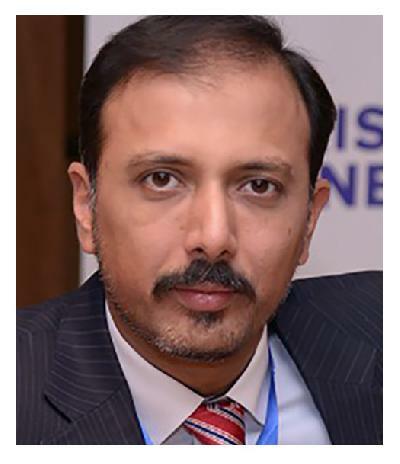 Throughout his professional career Ali has been associated with globally recognised consulting firms including PriceWaterHouse Coopers & Mercer consulting where he has undertaken number of Business Process Reengineering (BPR) assignments, which has given him a diverse and unique perspective on Change Management. He has successfully managed relationships for blue chip companies, such as, Pepsi International, Microsoft, General Motors, Standard Chartered Bank, Polycom, Du Pont & Al Ghurair Group. He has also worked as a Lead Project Manager for United Nations (UNDP) project to build capacity of Ministry of Economic Affairs Team in Pakistan to strengthen their online presence and virtual coordination for technology cooperation among developing countries. As a Director Online Strategy for Madinah Institute for Leadership and Entrepreneurship (MILE) and in his passion to facilitate dissemination of knowledge with ease, he has Moderated more than 400 Live Webinars on MILE’s platform by successfully engaging speakers from Top Academic Schools of the world and Global Consulting firms, such as Harvard, Columbia, Oxford, INSEAD, London Business School, Wharton, Babson, Yale, Standford, Carnegie, IESE, Cranfield, Oliver Wyman, Strategy&, United Nations Chief of E-government and many more. Ali is a Certified Practitioner of Personality & Preference Inventory program (PAPI) which is a Psychometric tool developed by Cubiks an entity of PA Consulting U.K.
Ali holds a BSc. Degree from Elon University, North Carolina, USA and he is a Fellow of Virginia Theological University.